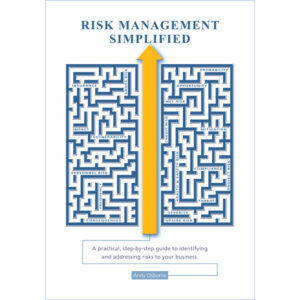 At last – a risk management book that isn’t aimed at risk management specialists! This book is different to the plethora of risk management books on the market. It isn’t aimed at risk management specialists; it doesn’t focus on a single, specific area, such as financial or insurance-related risk; and it isn’t as dull and difficult to read as most of them are! This is not a book full of theoretical musings. It is a highly practical ‘how to’ guide which gives a simple, straightforward and thorough process which, if followed, will make your business more resilient. 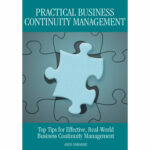 Written in an informal, no-nonsense style that is easy to read and understand, this book brings the concepts of effective risk management to a wider audience than that traditionally served by the majority of risk management publications – the business manager who realises that risk management is important, but for whom it isn’t a full-time occupation. Whilst its content will undoubtedly benefit small to medium enterprises (SMEs) it is just as applicable to larger businesses, not-for-profit or public sector organisations looking to implement an effective risk management programme. Be the first to review “Risk Management Simplified – Paperback” Click here to cancel reply. © 2019 Acumen Shop. All Rights Reserved.